Remember that Rutgers team that nearly beat the #Badgers on Saturday? It's losing by 23 points, at home, in the first half, to Iowa. Halftime in Columbus: Maryland 42, Ohio State 36. Closing in on tip. ???????? Iowa destroying host Rutgers in second half. Hawks had 48 at halftime. #Badgers had 45 thru regulation. Wow. Starting ????. Tip at 8. ???? #Badgers Brown no longer wearing the knee brace. Did not shoot well vs. Rutgers. OSU giving Maryland a tussle tonight in C-Bus. Maryland up three with 2:58 left. OSU ball coming out of a timeout. Like Wisconsin, Maryland has been pushed on the road multiple times and still come out on top. Maryland prevails, 77-71. 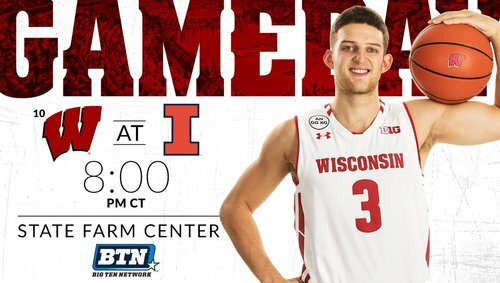 #Badgers have to win to keep pace. Like Wisconsin, Maryland has been pushed on the road multiple times & still come out on top. #Badgers need to win to stay tied for 1st. 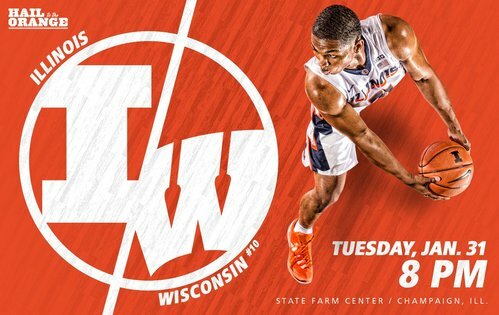 Illinois starting five: Te'Jon Lucas, Leron Black, Tracy Abrams, Malcolm Hill and Maverick Morgan. 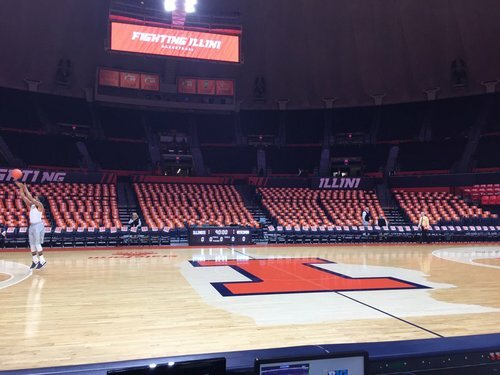 illini are 10-2 at home this year. Maryland wins 77-71 at Ohio State to move a half-game ahead of the #Badgers . The Terrapins are now 9-0 away from home this season. Right where he left off in NYC! 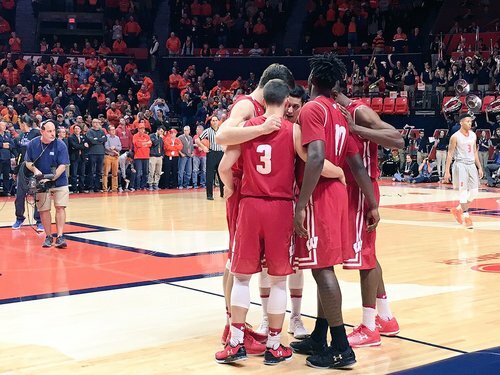 Ethan Happ finishes inside with the hook and the #Badgers are on the board first in Champaign. Great start for the #Badgers , who lead 9-0. UW 4 of 5 from the field. #Badgers , who had 5 FGS in first half vs. Rutgers, 4-5 in first 3:10 tonight and lead, 9-0. #Badgers had 5 makes in the first half vs Rutgers. Already with four in the first 3:10 of this one. 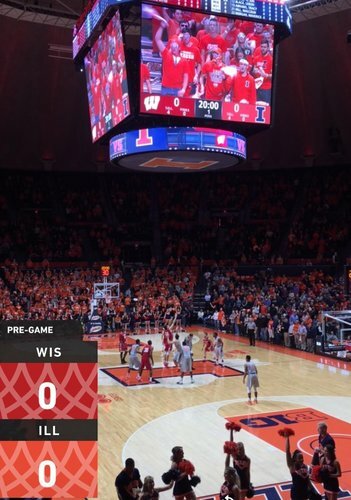 Nigel Hayes with a 3-pointer and Wisconsin up 9-0 at 16:50. 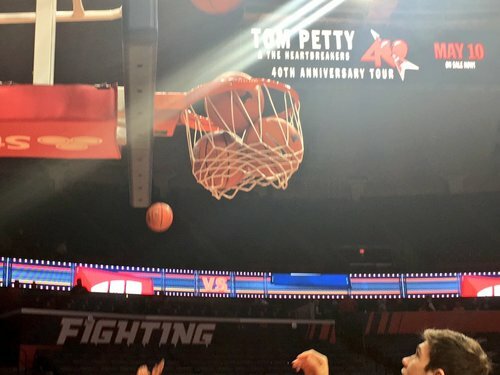 Timeout Illinois. 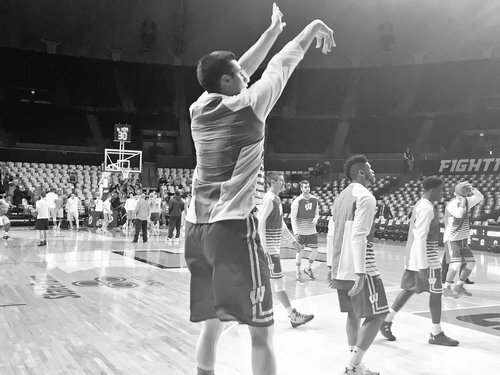 Wisconsin 5-for-7 from the floor, 2-for-2 from beyond the arc. Four different #Badgers have scored. #Badgers lead, 12-2, with 15:34 left. Shooting 5-7, including 2-2 from 3. The #Badgers lead 12-2 at the first media timeout. UW 5 of 7 overall, 2 of 2 from 3-point range.